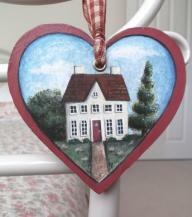 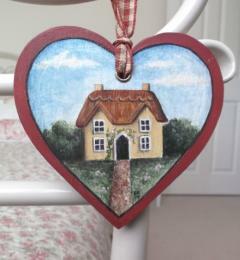 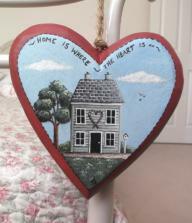 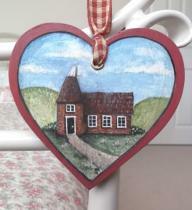 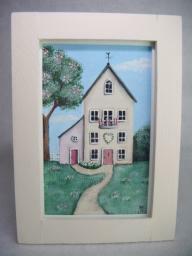 From my 'Houses' collection of signed original Folk Art style paintings, on wooden heart decorations. 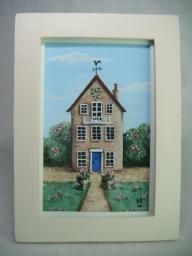 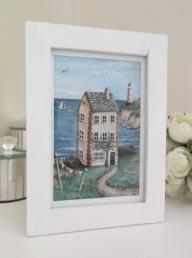 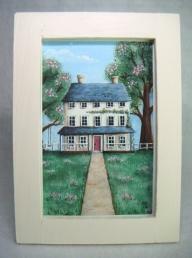 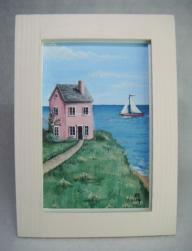 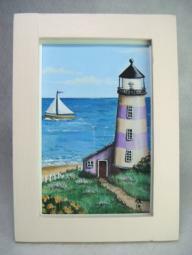 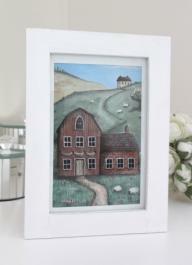 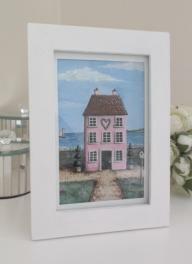 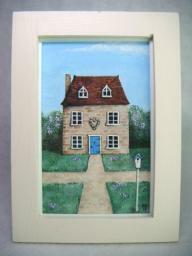 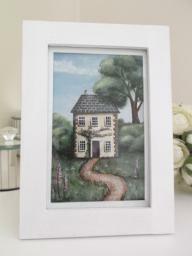 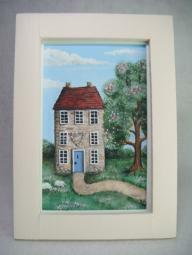 'Thatched Cottage' is entirely handpainted in acrylics, bears my initials and year, and my logo is on the reverse. 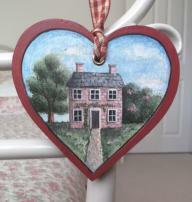 There is a coordinating gingham ribbon loop to suspend it from.